To add to the curb appeal and provide light many homes have entry door sidelights– that is the good news. The bad news is these sidelights provide an easy and quick place for a burglar to enter your home. While you could use wire in the glass or wrought iron bars for security they can make the appearance of your home look industrial or just not fit your home’s décor. Fortunately there is another option – a glass block sidelight. Learn below the advantages of using glass blocks, the decorative options, best prefabrication techniques and installation tips. 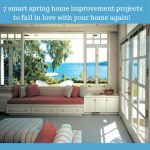 Improve security – since this product will either be mortared together (or for the ultimate in safety use a “Protect All” window) – it will become a very hard place to enter the home. Reduce heating and cooling costs – many of the existing sidelights have single pane glass – the glass blocks provide higher energy ratings. Increase privacy – one of the things people don’t like is the ability for others to be able to see into their home through the sidelights. 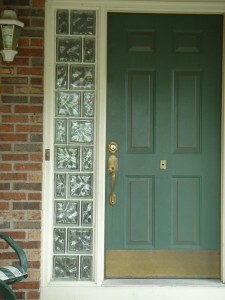 There are high and moderate privacy glass block patterns that eliminate this problem. Reduce maintenance – glass blocks are easy to clean and virtually maintenance free. 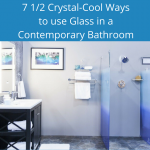 Decorative glass block options to add style and privacy – What’s nice about glass block is it can add more privacy than the existing sidelights. There are high privacy patterns called “Pristal” and “Iceberg” and a moderate privacy pattern called “Wave.” To add more style the glass blocks can also be frosted and colored for a unique design. Use prefabricated glass block panels for an easier higher quality installation – It can be very difficult to lay the glass blocks individually inside a door opening so it is best to use premade glass block sections for the entry door light. The best quality fabrication approach for this type of application is to use (a) mortared glass block windows or (b) a Protect All Glass Block window. The Protect All window offers the highest level of security, improved energy efficiency and better protection against movement and drafts. Installation tips – Like most building materials doing the right installation will be the key to the best long term performance. Since glass block sidelights will be going into a door jamb which will have movement with the door opening and closing the key is to make an installation which is sturdy, energy efficient – yet has some flexibility. What works best is to silicone the glass block window section (which is 3 1/8” wide) to a 1” x 4” PVC board (which is actually about 3 ½” wide). Then the PVC board (with the window inside) is screwed into the wood framing. Insulation foam is used between the PVC board and the side of the opening to maximize the energy efficiency of the window. The window is then trimmed out with wood on the inside and caulked on the outside. 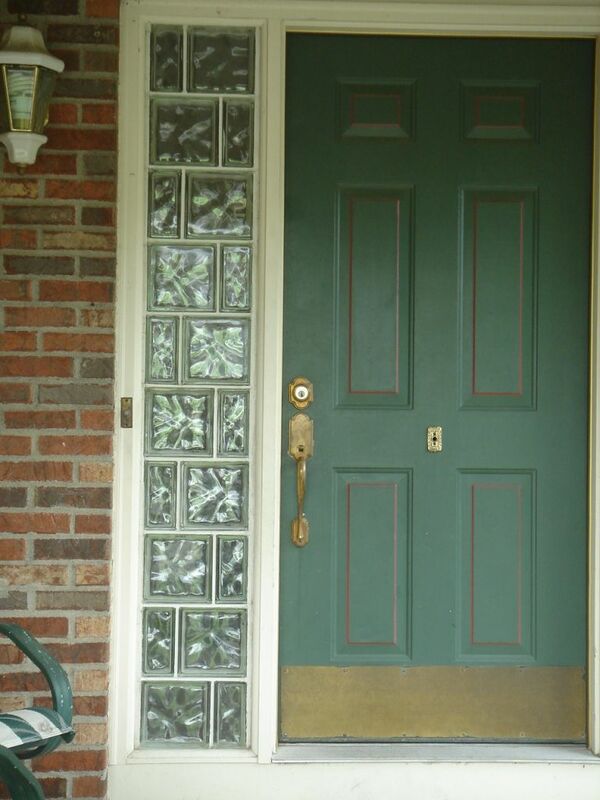 What do you think about the use of a glass block sidelight around your front entry door? Please comment below. To get free estimate on a glass block sidelight installation or for nationwide supply of premade sections contact Innovate Building Solutions (877-668-5888) or for a local project their divisions including Columbus Glass Block (614-252-5888), Cleveland Glass Block (216-531-6363), West Side Glass Block (216-398-1020) or Mid America Glass Block (513-742-5900) of Cincinnati or Dayton and Akron (330-633-2900).